This post is a simpler version. 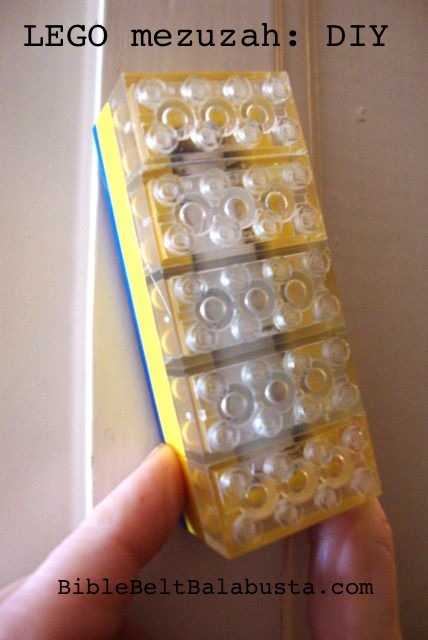 Less candy, less time, but actually more fun. 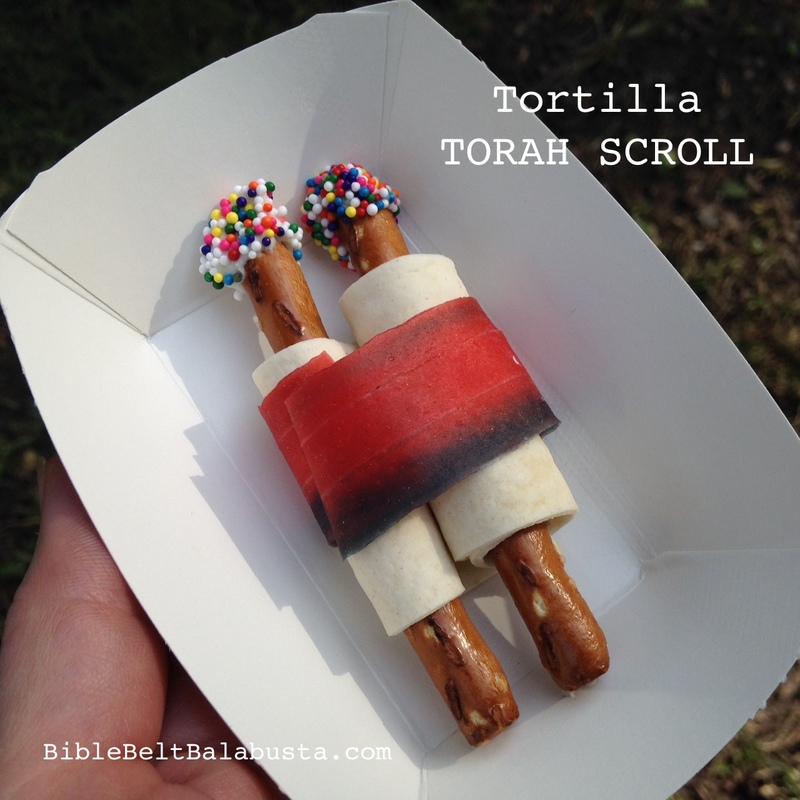 And, kids get to be a scribe / sofer with their own Torah scrolls by writing with food-safe ink. Here’s what we did today, with K-3. Materials are listed in red ink. 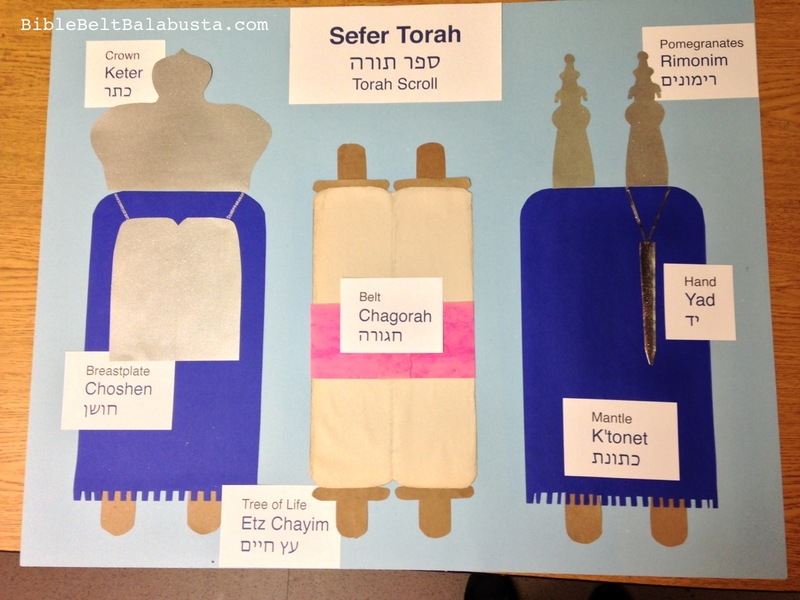 We undressed the Torah Scroll and named the parts. Vocab is what bumps this edible craft up to legit educative status. 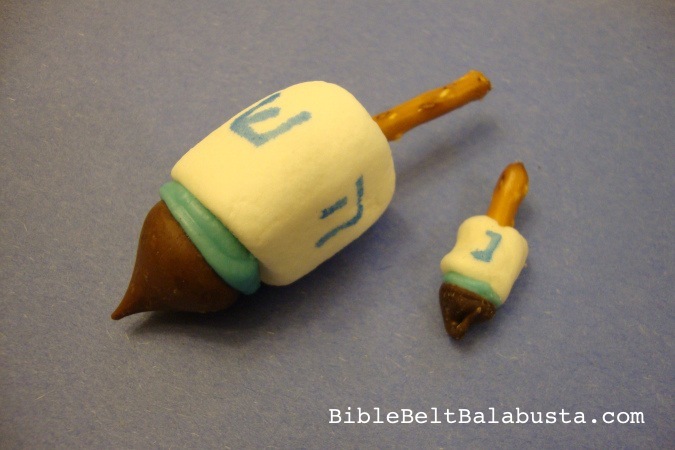 Then, we made our own wee Torahs using the same vocabulary. 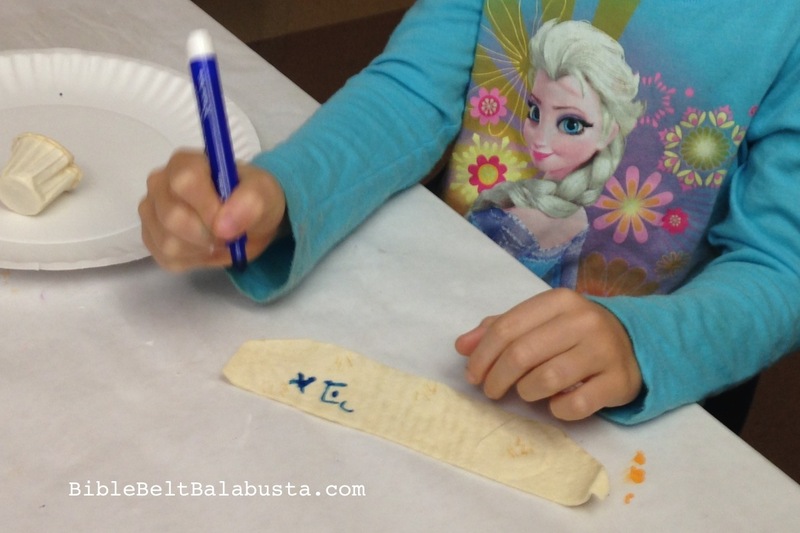 and then students wrote with a food-safe marker on their parchment. 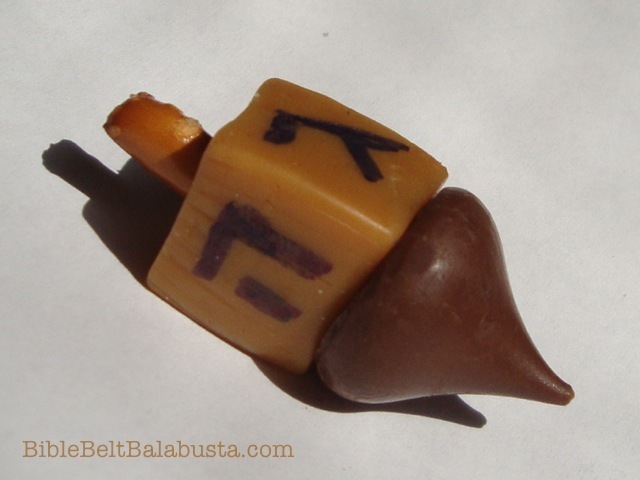 Depending on the class, they wrote the letter they’d just learned (we had lots of gimmels), or their Hebrew name, or the name of the holiday, or just random letters from an aleph bet chart in the room. 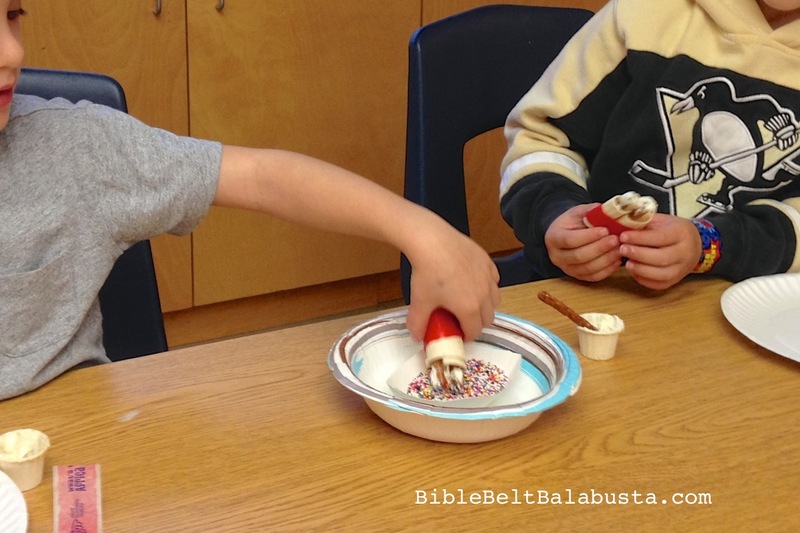 When the Torah was wrapped with the sticky fruit rollup, we made rimonim by dipping the top of the eitzei chayim first into frosting and then into a bowl of sprinkles. Magic. 1 piece of shoestring candy (yad, hand pointer) for the 3rd graders. It’s fiddly. Then, we tried to figure out which blessing(s) our Torahs required. 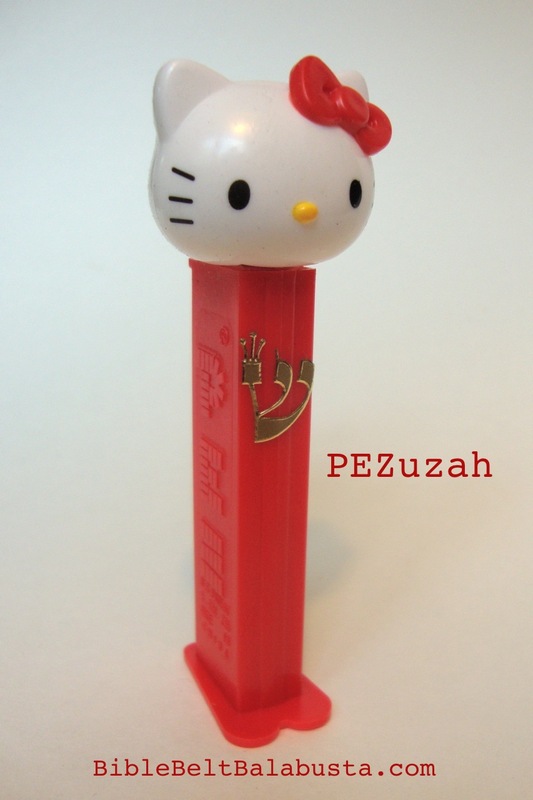 Turns out, we need the minei mezonot for the pretzels, and then we say the shehakol over all the rest of the bits. ALLERGIES: Snyder’s makes gluten-free pretzel sticks that are close enough to the same size of the Dippers to substitute. Corn tortillas can substitute for the wheat, but be sure they are thin and flexible enough to roll around the pretzels without breaking. 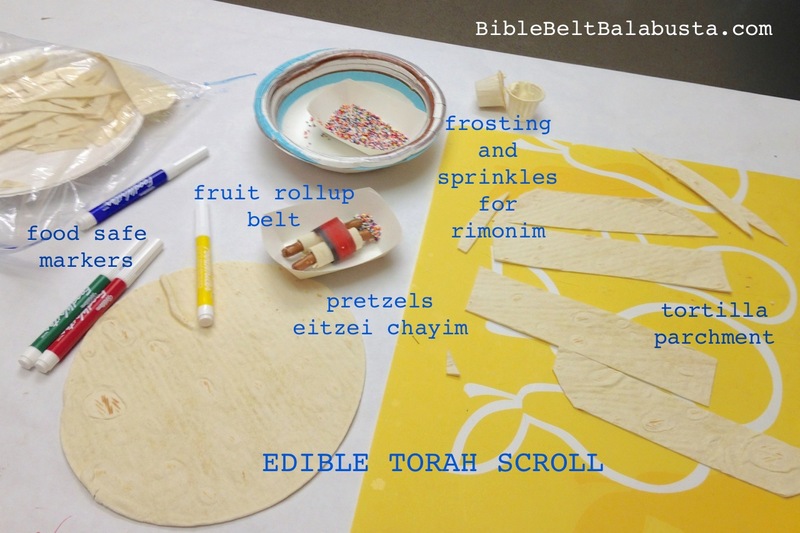 This entry was posted in Activity, Crafts, Edible Craft, Simchat Torah and tagged edible craft, Edible pen, torah scroll. Bookmark the permalink. Morah Cheyn/Heidi Diamond-Shaffer, our Beit Ahavah Head Teacher, led us in “Tshuvah Tacos” for Sukkot… which we figured out that TACOS are SUKKOT backwards! On National Taco Day! 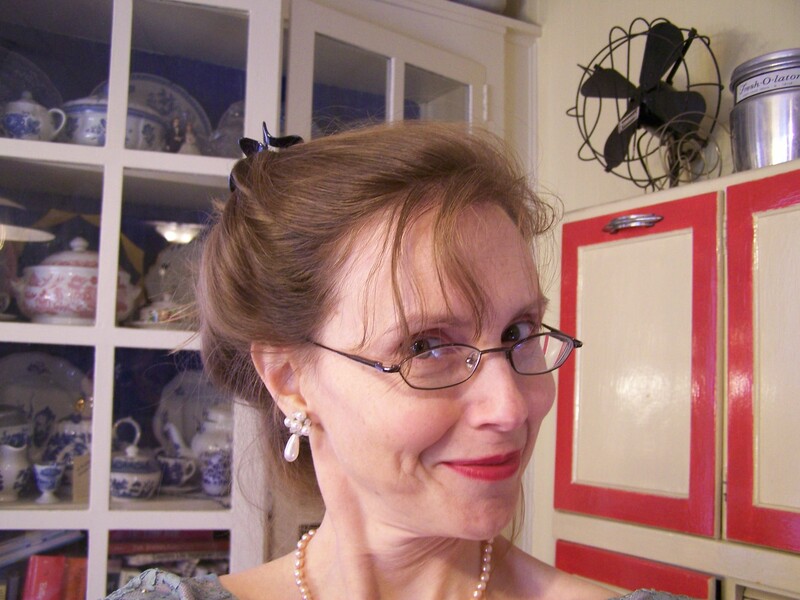 The two of you HAVE to meet, even virtually… kindred spirits! Tacos = Socat is a stretch, and I love it. Chag sameach! 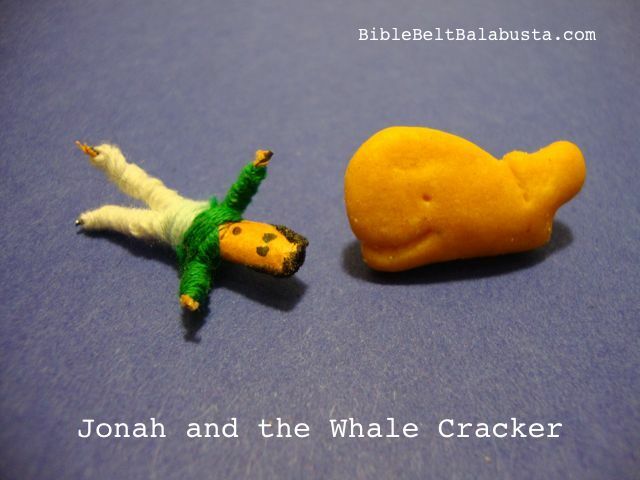 Shoshana, use biblebeltbalabusta at gmail.com. It’s on my About page, but not till the end. Thanks!